Today we have a fun beachy collection of 4 Flamingo Pictures! All are Free for you. Featured below is a tall, graceful Natural History print of a Flamingo Image with a beautifully curved neck. 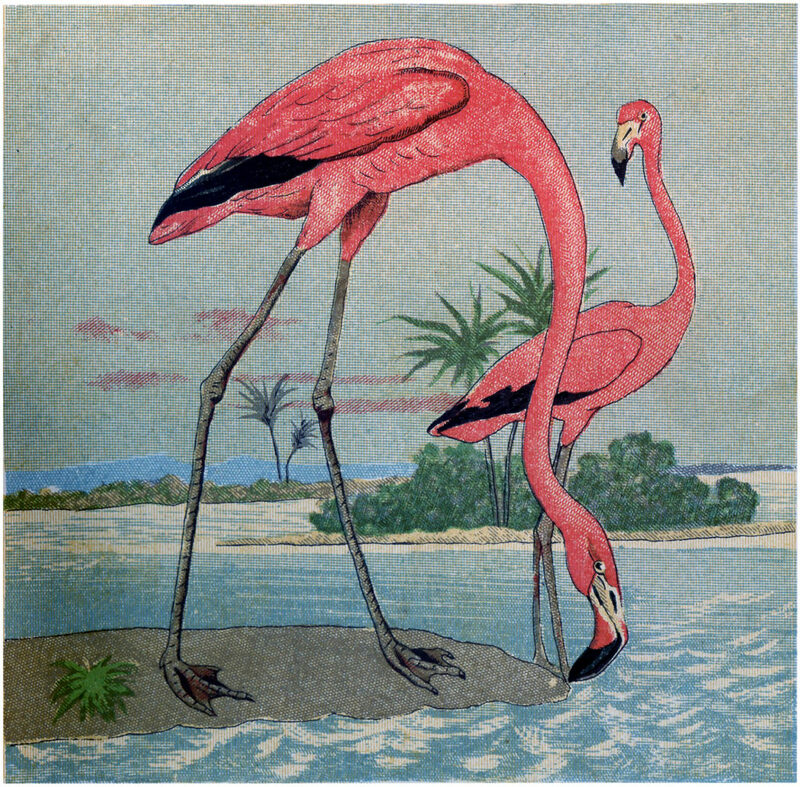 We also have a delightful full color Lithograph (I believe) of a pair of Flamingos. Check out the interesting French Antique Card illustrating a lovely pair of birds with a very large egg. 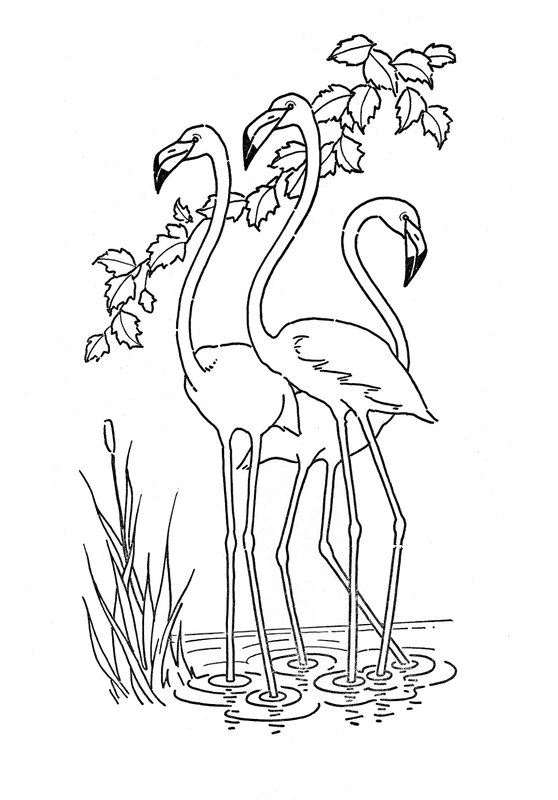 Additionally, there is a Flamingo Coloring Page for you and your children. Our Flamingo images are absolutely perfect for your Summer or Tropical themed Projects! Featured above is a Fabulous Free Flamingo Clip Art Image!!! This wonderful graphic was scanned from a fantastic German Children’s Encyclopedia Bird Book in my collection!! 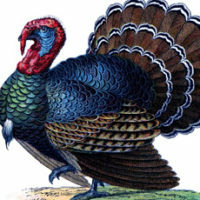 The book is Circa 1878 and is filled with the most spectacular Bird Prints and Engravings! I’m super excited to share it with you guys! This gorgeous fellow is a Flamingo. He appears to convey a sense of stature and confidence, as if to say “I am proud to be a Flamingo!” Don’t you love his gorgeous pink feathers? Above all, this is truly a wonderful Natural History Image. Pictured above is a marvelous Free Flamingo Image Download! There are 2 lovely Pink Flamingos, surrounded by an attractive landscape of blue water and Palm Trees. I think that the artist who created this image is very talented; the colors and detail is superb. This one comes from a Circa 1885 German Natural History Book. Around here we call this book “the Moldy Book,” as it was so full of mold when it arrived that some of the pages were completely black! I actually sent it out to a mold remediation company. They picked it up from my house, then cleaned it in their offices and brought it back. I was so glad that they were able to salvage it as there are some wonderful images in that book! Seen here is a very charming antique card!! 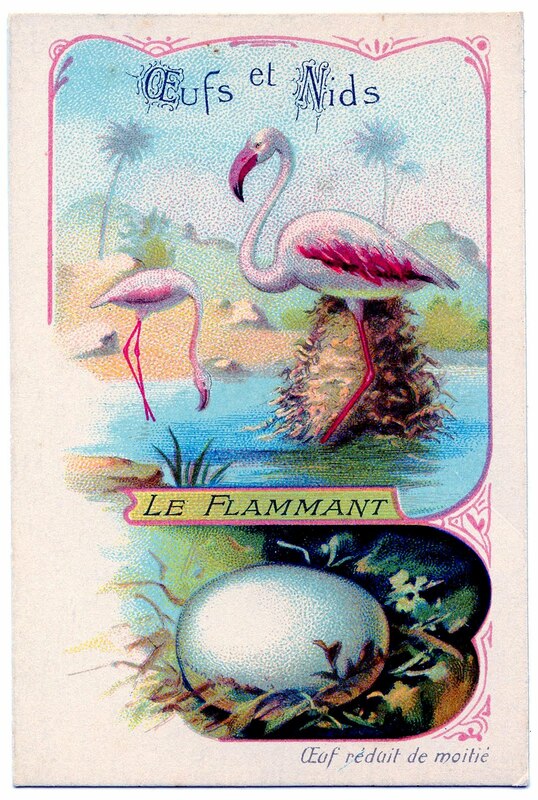 This one is written in French, and depicts some lovely bright pink Flamingos along with one of their Eggs! Le Flammant simply means ‘The Flamingo’ in French. I love the clarity and vibrancy of the colors on this one! The top image makes me feel as if I am actually on a tropical island! Here we have another Kids Printable Coloring Page! Shown are 3 lovely Flamingos wading in a shallow pond. This image is sketched in just black and white. However, I actually find it to be quite captivating. This design would probably work well for Embroidery as well if that interests you! I hope you enjoyed this fun curated collection of 4 Flamingo Pictures!! You might also like our 40 Best Free Bird Images HERE. 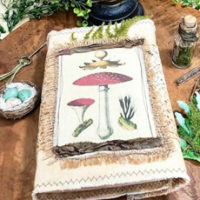 Softcover Forest Junk Journal – Design Team Lynne Morgado Embossed Cover Junk Journal – Design Team Cheryl Carpenter 7 Thanksgiving Turkey Images! « 10 Anchor Clip Art Images! Fun to see a non-kitchy illustration of flamingos! Thank you. I just love the flamingo image you shared. 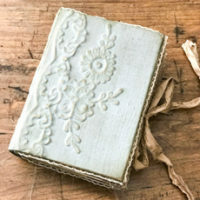 And, I had no idea you could send a nasty, moldy book somewhere to restore it. Good for you. I so enjoy all the images you so kindly share. Thank you!